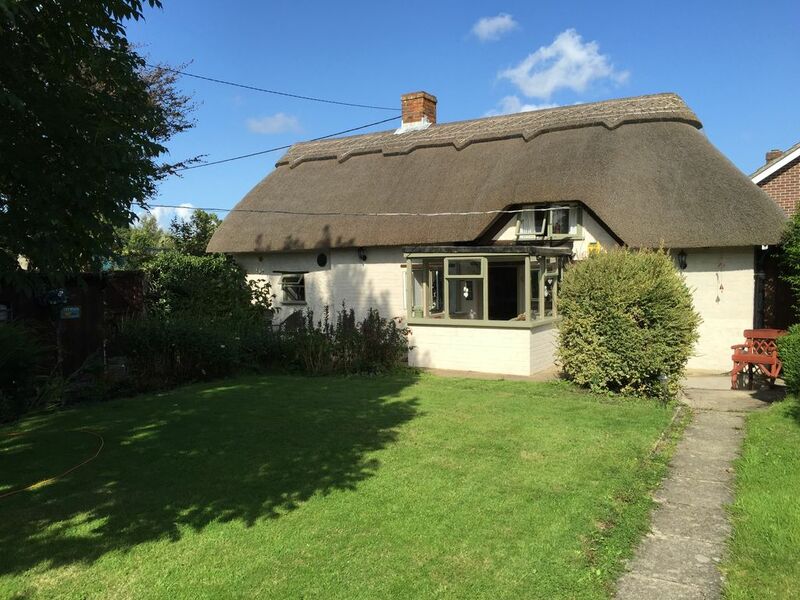 Beautiful thatched cottage, perfect romantic bolt hole. Choolate box cottage ideal for families, direct forest location with ponies & donkeys at the gate where memories are made. Jacuzzi in private cottage gardens, king size bedroom, 2 single bedrooms also space for cot . Charming 17th century quirky cottage full of beams to enjoy, limited head height especially upstairs. Low beams also downstairs. Luxurious sympathetic modern interior to high standards. Village location with great pub, shop, church all within stones throw. Great location for quiet beach 6 min drive an exploring the New Forest, Beaulieu,Lymington,lyndhurst,Brockenhurst,Southampton. SHORT BREAKS AVAILABLE FROM £399 FOR 3 NIGHT WEEKEND BREAKS (Friday - Monday) OR 4 NIGHT MIDWEEK BREAKS (monday-Friday) Please contact us with dates & we will accommodate you. Stunning thatch cottage with jacuzzi in beautiful cottage gardens. Great sunny sheltered garden. Ponies & donkeys just outside the gate, directly on the forest for those beautiful walks through the New Forest. Village location with great pub to enjoy great evenings out & village shop & local farm shop for local produce. We had a fantastic time in the cottage, everything we needed was provided and it's a beautiful setting There's a pub up the road and a shop around the corner, visited by the donkeys much to our delight! There are lovely walks and it's a great base for exploring the area too. Stayed here for just one night but it was a beautiful country cottage with great features and all mod cons. good communication with owner. Easy instructions on how to use everything and great hints and tips on where to go and what to see. Wonderful little cottage, beautiful little getaway! Will 100% be visiting again. We had such an amazing time at the cottage. It exceeded our expectations and the surrounding area is beautiful. We can't wait to stay again in the summer. Just perfect.